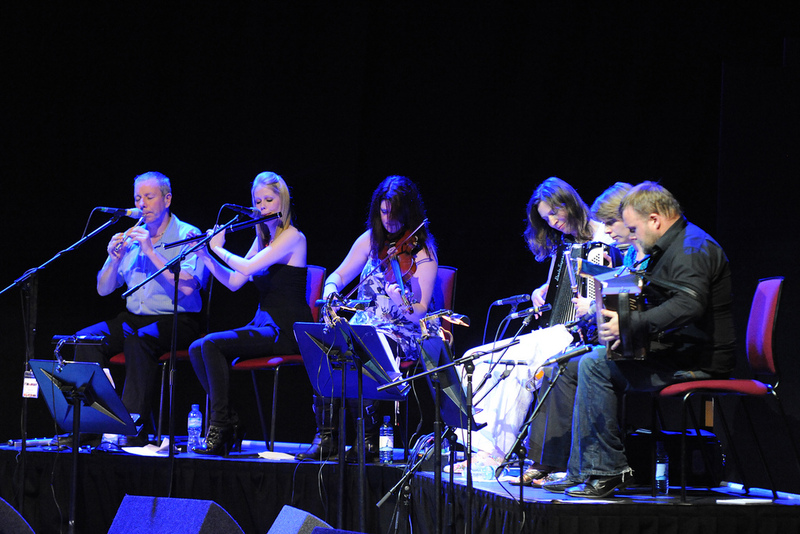 The first Irish Sea Sessions took place in Liverpool 20 – 22 October 2010, devised, produced and presented by Simon Glinn and Liverpool Philharmonic as part of Liverpool Irish Festival. The CD of The Irish Sea Sessions 2010 (Cat. No. 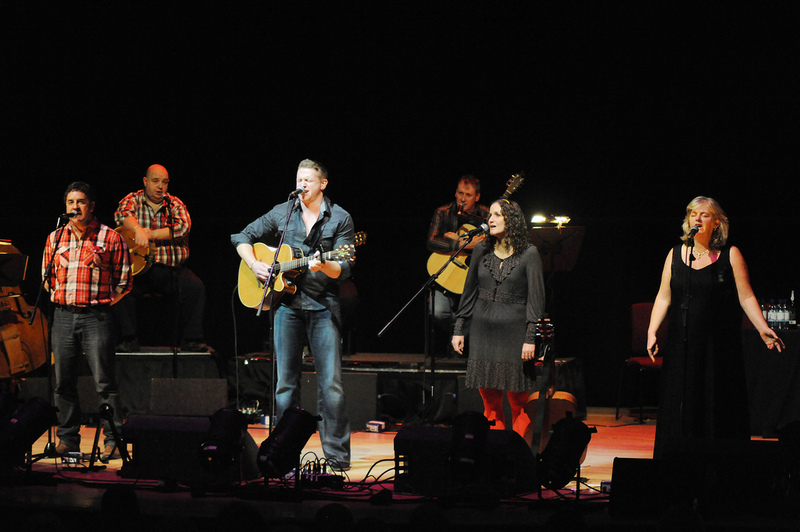 LPISSCD001) is available through the Liverpool Philharmonic Online CD Store priced £10 + £2.50p&p – click here to order – or purchase it at the 2011 shows. Just before the finale of The Irish Sea Sessions 2010, which featured Lizzie Nunnery leading everyone in a rendition of The Leaving of Liverpool, this storming set of reels brought the house down! The tunes are Newly Mowed Meadows, The Abbey Reel, The Dublin Reel, and The Sandmont Reel. Dave Munnelly, Terry Clarke-Coyne, Becky Taylor, Colette O’Leary, Lizzie Nunnery, Damien Dempsey, Alan Burke, Ian Prowse, Graham Dunne, Niamh Parsons, Gino Lupari, Bernard O’Neill, Eimear McGeown, and Carleen Anglim.